I use this hotel as a convenient stop after a days driving across France. I find a smiling welcome, a restful evening and an ample breakfast. I do very much regret the closing of your restaurant. The pillows lumpy, one towel per person, no restaurant facilities, stale bread under the bed, spiders in the bathroom, no grab bar in the shower, which was slippery - need I go on. A very mediocre experience. good as usual. miss the restaurant. Excellent from check in to check out. Helpful staff and room lived up to expectations. Excellent value for money. 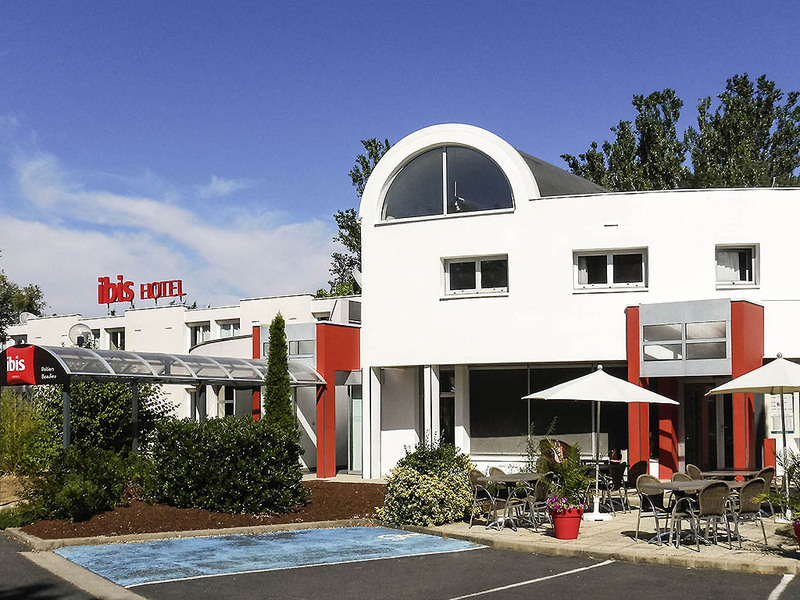 Much better than our previous experience of Ibis Budget, Bordeaux Lac. This Hotel was quiet, the bed comfortable and the reception staff excellent, even though she had to multi task. We use this hotel because it is almost exactly halfway on our journey. We always look forward to its relaxing atmosphere but I DO MISS the restaurant. We stayed here on drive back from Portugal we were put into a room next to a couple and a baby who appeared to be living there ,the baby kept crying and every time it did the woman and man started shouting it was a nightmare ,no sleep and had to drive 500 miles !! Very nice hotel, friendly staff, good location for motorways and fuel. A very warm welcome was extended by the reception team. We were checked in on line so all went without a hitch. We were travelling with our dog, when reception noticed that the room allocated was first floor, she changed it to ground floor without us even asking, much appreciated! The room was perfectly OK, nice bed and bathroom. The restaurant was not open, but we were given information about local eateries, and partner discounts, and the bar was open. A good breakfast, and seamless checkout. Very nice stay thank you. The hotel was fine and the staff very friendly and helpful. However the description of the location was misleading as all times given for distances were actually by car rather than on foot. That meant to go into town, we had to take taxis both ways. It was very quite. The place around was not very nice, but employees were very kind, and the hotel had the standards if an Ibis Hotel, except there was no lift, but there was a room for handicaped people on the ground floor. We were very disappointed to find that the restaurant had closed. Well done on the refurbishment of this elderly hotel. The room was comfortable and the air conditioning worked well. The evening meal wasn't up to standard however. Poor selection of preprepared food with no option of variation. o. got the impression that the staff themselves were embarrassed by the state of affairs. Staff were very friendly and helpful but I don't think we will stay here again and if this is the level of aspirations of the Ibis chain now we will look elsewhere in the future. The hotel is placed in a quiet place, near a hypermarket and close to the national road N147. Disappointed that there was no longer a restaurant at this hotel for dinner. The service was adequate, the breakfast was good. Overall okay for an overnight stay on our way further south. We would probably stay again if necessary. My stay was overnight. Perfectly comfortable.